The manager of Logansport’s newest 24/7 fitness center says the gym caters to all people, from those beginning fitness regiments to power lifters — and at a low cost. 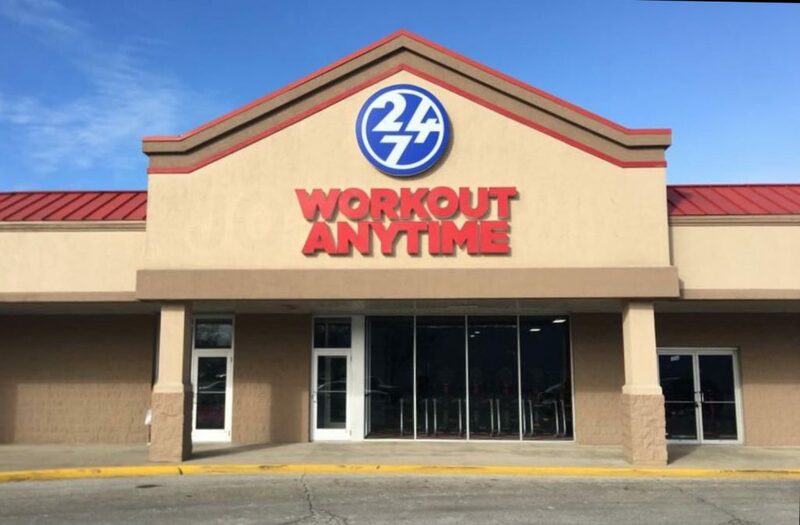 Workout Anytime, a fitness franchise with more than 100 locations nationwide, recently opened a location in Logansport, at 3304 E. Market St. in Cass Plaza. The spot used to house Jo-Ann Fabric and Crafts, which closed several years ago. For the past week or so, the gym has been up and running for patrons. After a soft open, Workout Anytime is fully open, with staffed hours from 9 a.m. to 8 p.m., and access for members 24 hours a day, according to the business’s Facebook page. Jason Spindler, the gym’s manager, said the center has new Matrix brand equipment, such as cardio machine weights, free weights, treadmills, ellipticals and bikes. The gym also has tanning and hydro massage available for its premium members, Spindler said. The basic membership, he added, costs $15 month to month. That includes usage to the fitness equipment 24/7. A premium membership, which covers use of the massage and tanning, costs $25 a month. It also contains a pass for the member to bring a guest during staffed hours. If a member wants to use the gym after staffed hours, they can use a key card to unlock the door, Spindler said, adding that the gym has security cameras. Workout Anytime joins Anytime Fitness as the second 24/7 gym in Logansport and the Cass County Family YMCA as the city’s third fitness center. Spindler, who also manages Warsaw’s Workout Anytime location, said the company wanted to find a city where the gym could be a good fit. “We felt like with our low prices, we could come in and get a lot of members,” he said. Spindler said everyone who signs up to the gym gets a free session with a trainer who will introduce them to the equipment and figure out his or her’s fitness goals. The gym will also have one-on-one training, partner training and group training, but no classes, he said.